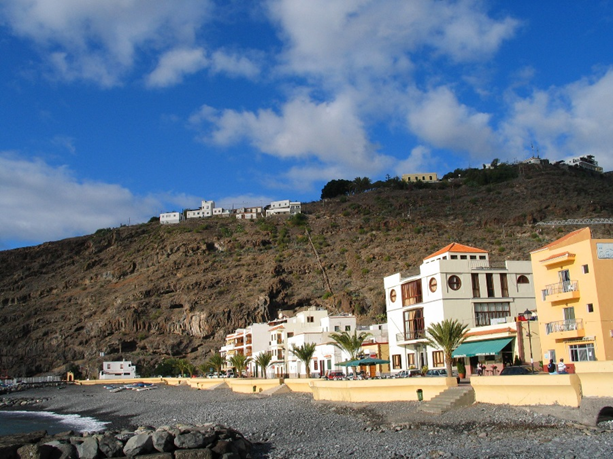 The fishing village Playa Santiago, where we are located, is in the delta of many beautiful ravines and lies in the sunny south of La Gomera. 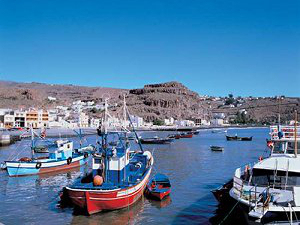 The centre of this harbour settlement is the lively Plaza del Carmen. A little promenade begins here, at this favourite meeting place of the locals, and stretches along the harbour. 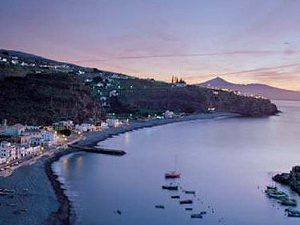 Besides typical Canarian cuisine, bars and restaurants offer a good location to watch the waters. The beach lies along the harbour promenade and is protected from the surf by a jetty. Swimmers can safely jump into the waves from here. A small area of the beach has been filled with sand. 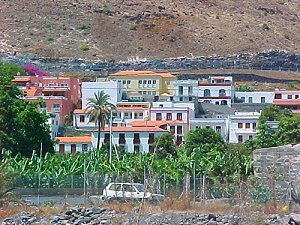 Further to the east, houses of the idyllic district Laguna stand on the hillsides, surrounded by the banana plantations of the valley. Quiet apartments, from private landlords, can be found here, as well as in the neighbouring playa. The old settlement Tecina stretches out above the town, along the mountain ridge. A luxury hotel stands at its cliff-edge.